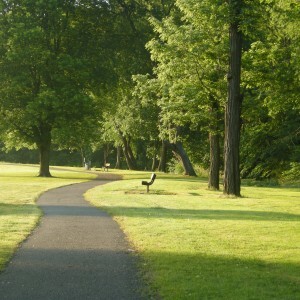 The Township purchased 80.5 acres from Mr. Rolland Richardson in 1965 for construction of Green Valley Park. In 1982 Mr. Blake Walker donated an additional 8.7 acres. The Park now consists of athletic fields for baseball, softball and soccer. There is a play are for children; picnic shelters that be reserved and a walking trail with exercise stations. Information on reserving a shelter may be obtained by contacting David Bauman at 724-452-1448.